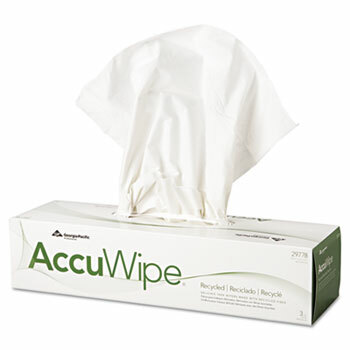 AccuWipe® Recycled 3-Ply Delicate Task Wipers. 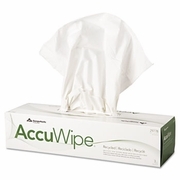 Light duty technical cleaning wipes offer extra softness and absorbency while delivering low-lint, low-contaminant performance. Perfect for delicate assembly work. Comes in an anti-static dispensing poly-shield which minimizes electro static discharge. Softness and absorbency that you can count on. Non-abrasive, pure fiber paper offers streak-free cleaning. Includes 20 boxes of 70 wipes each.